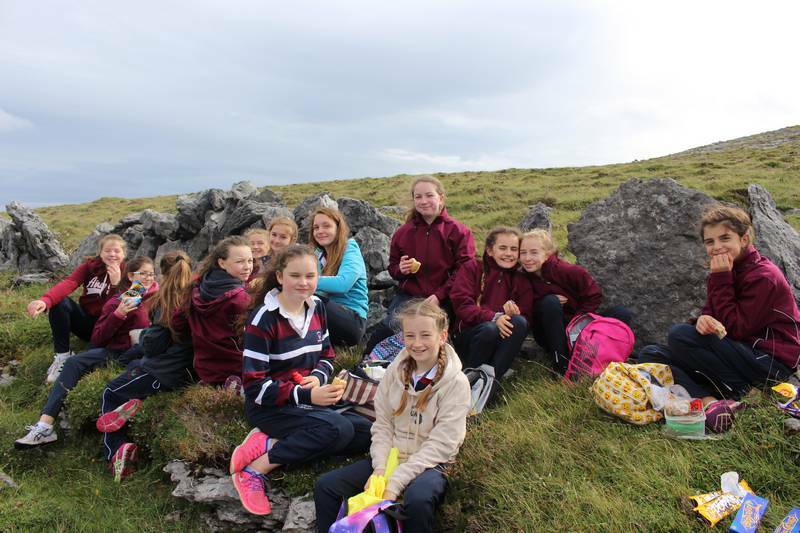 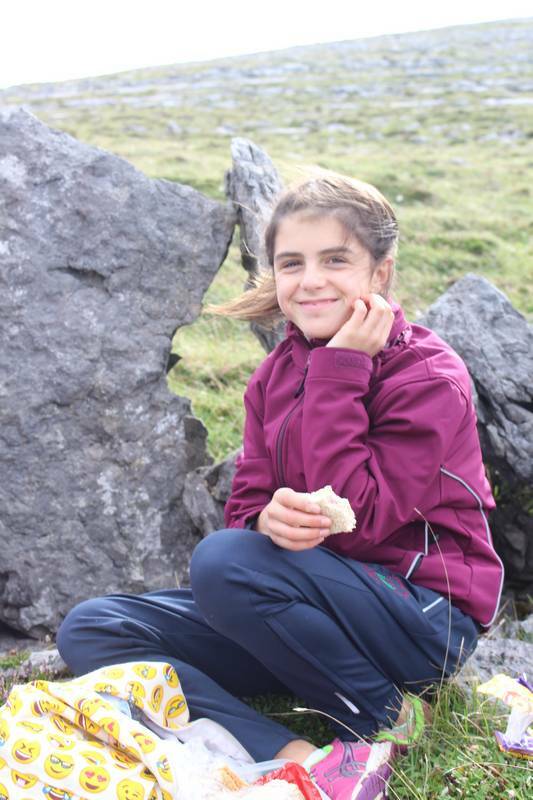 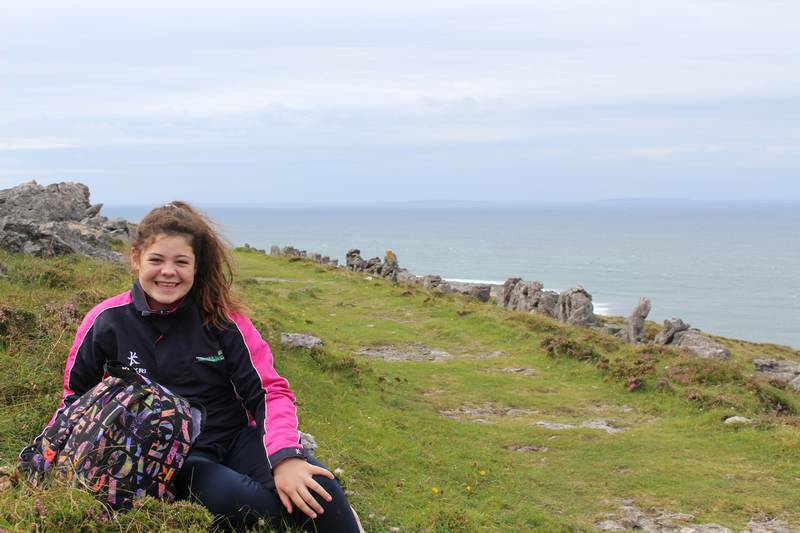 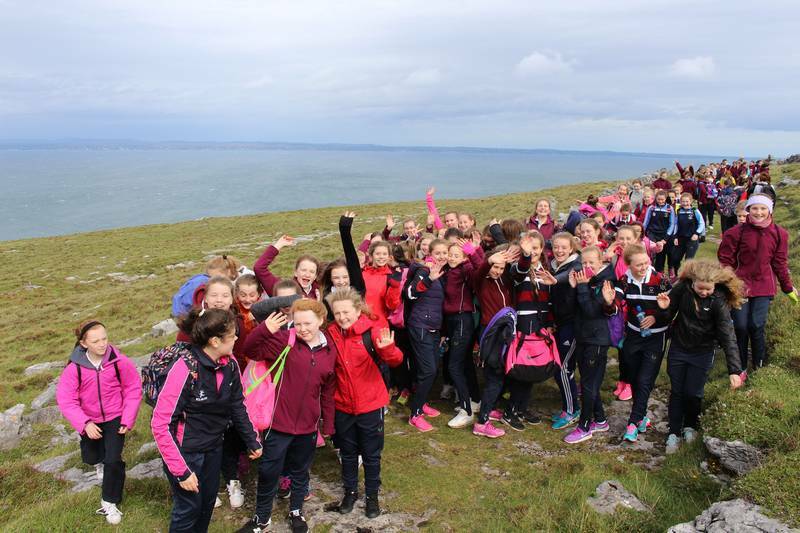 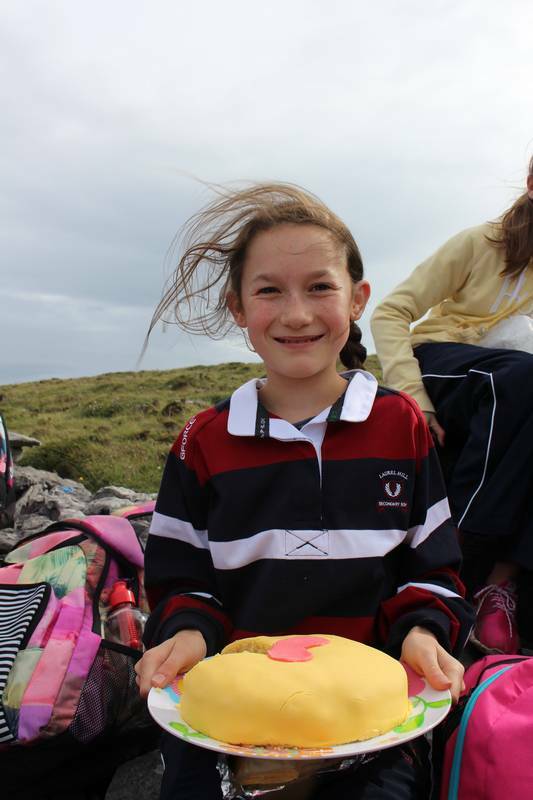 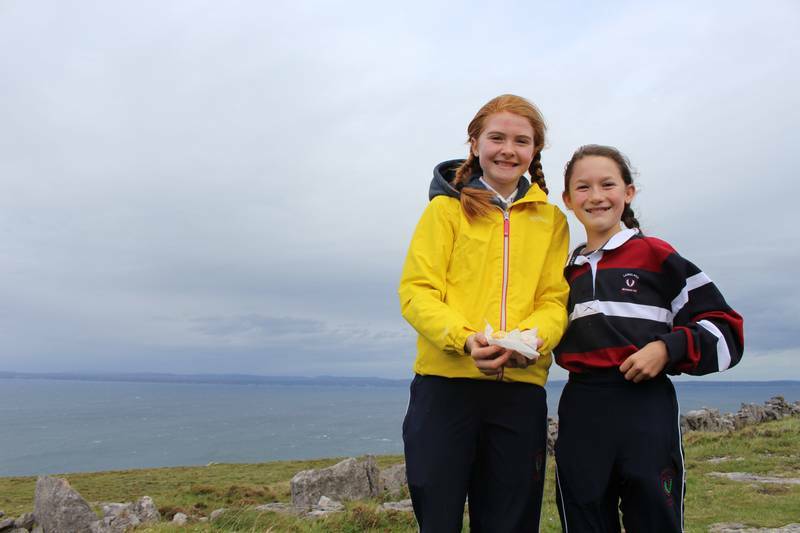 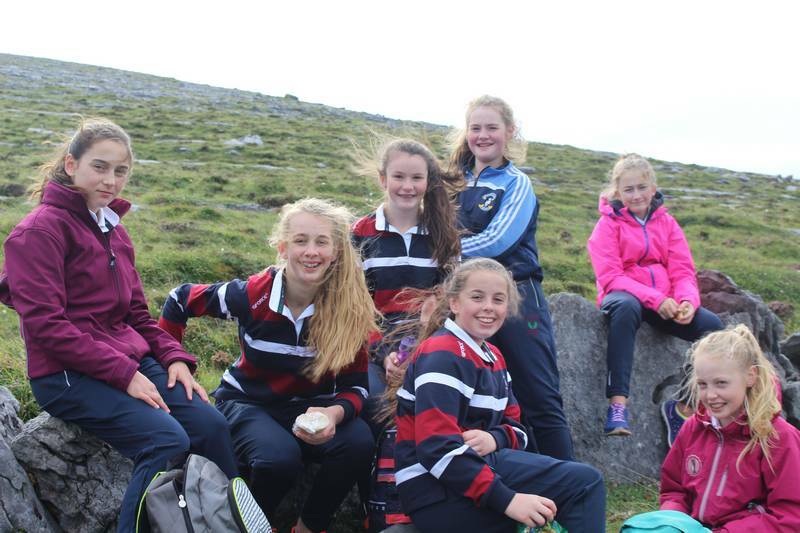 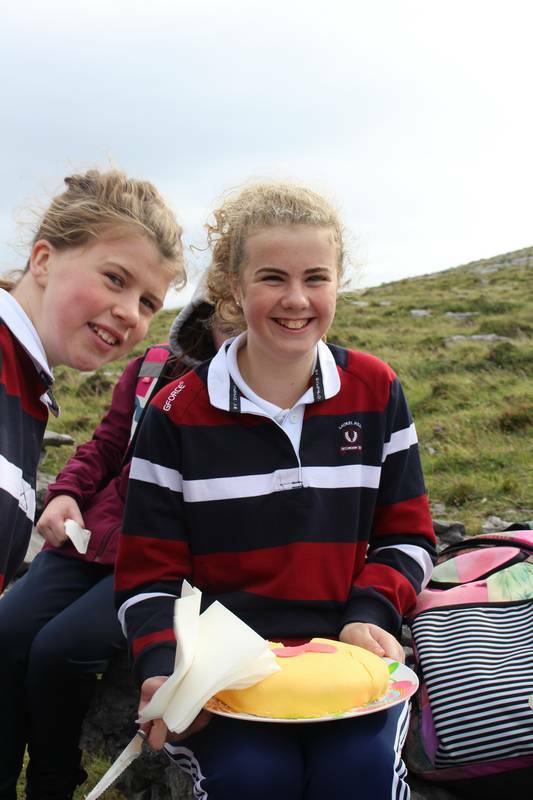 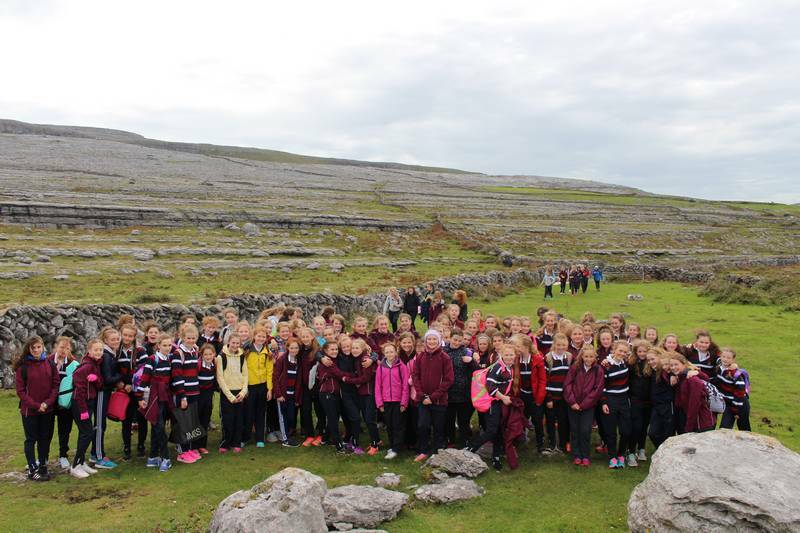 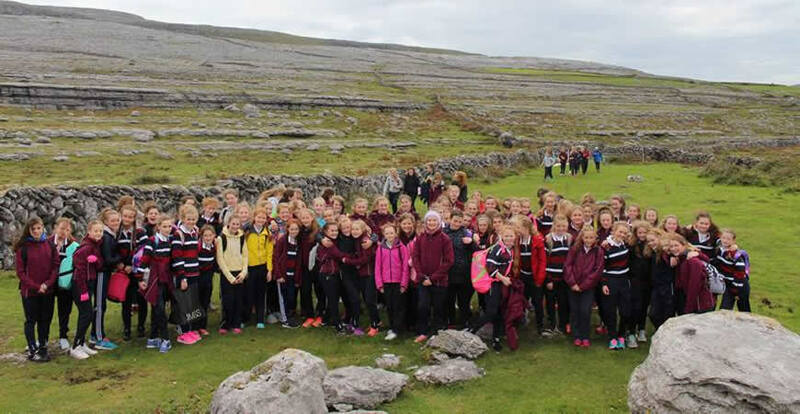 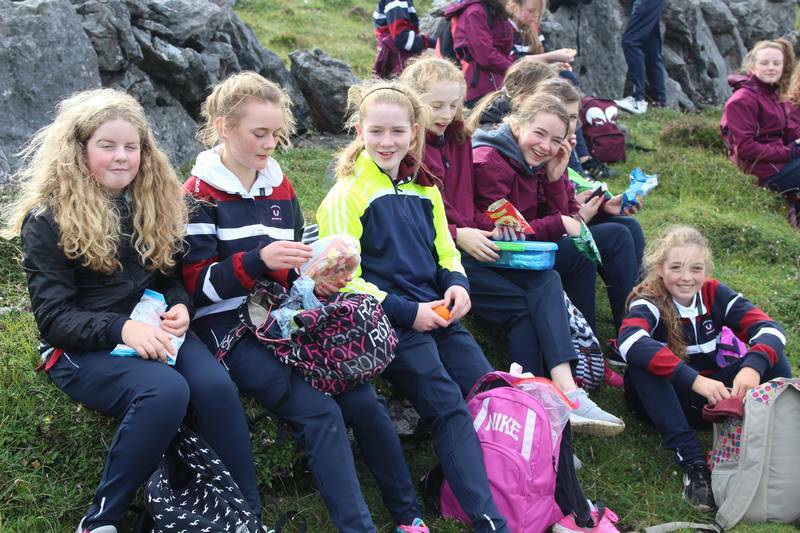 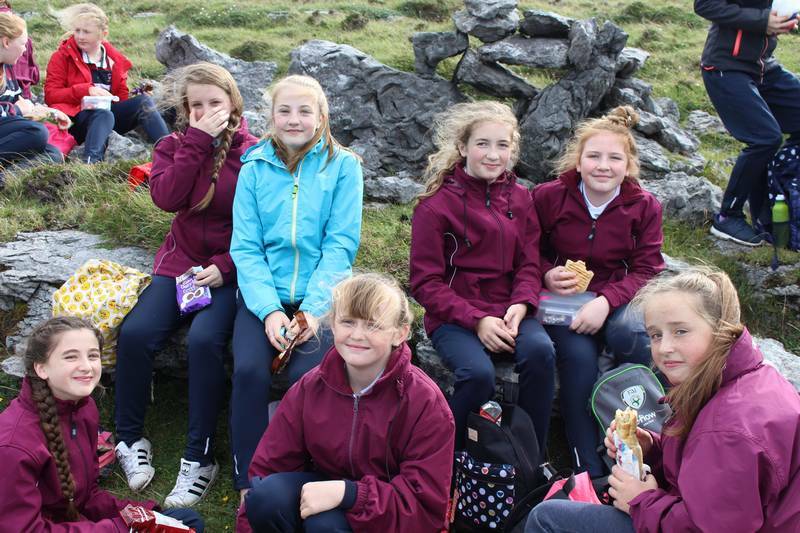 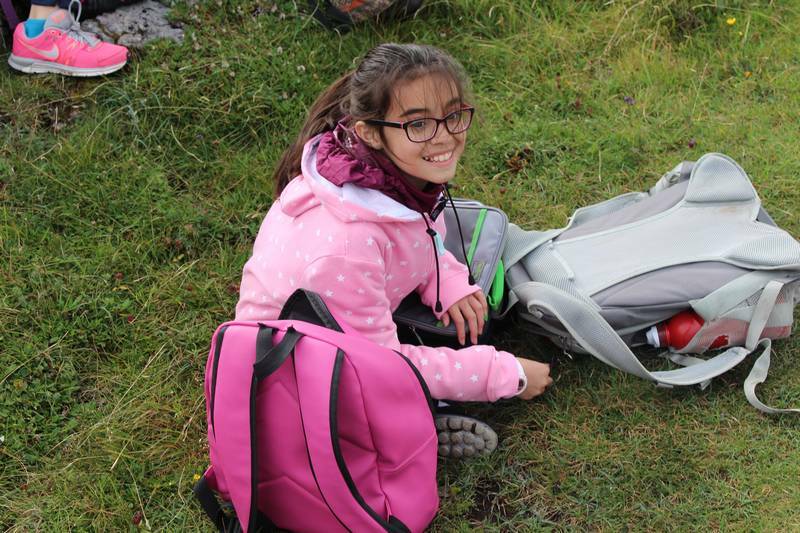 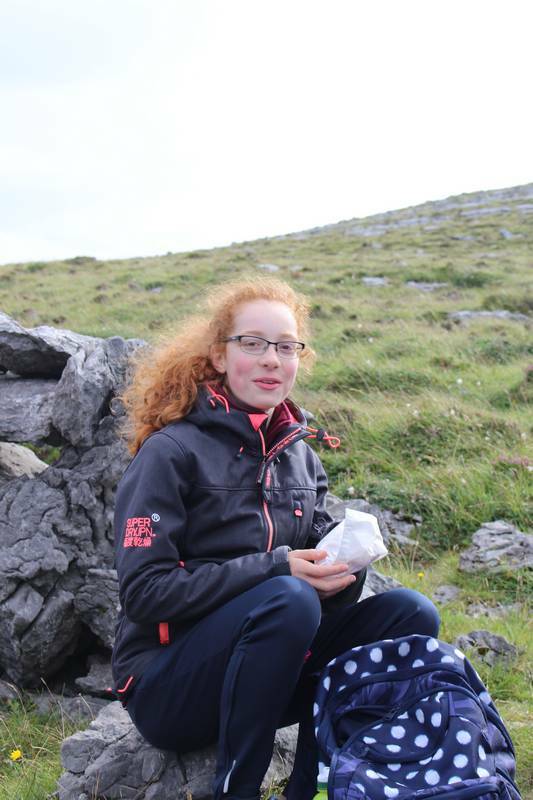 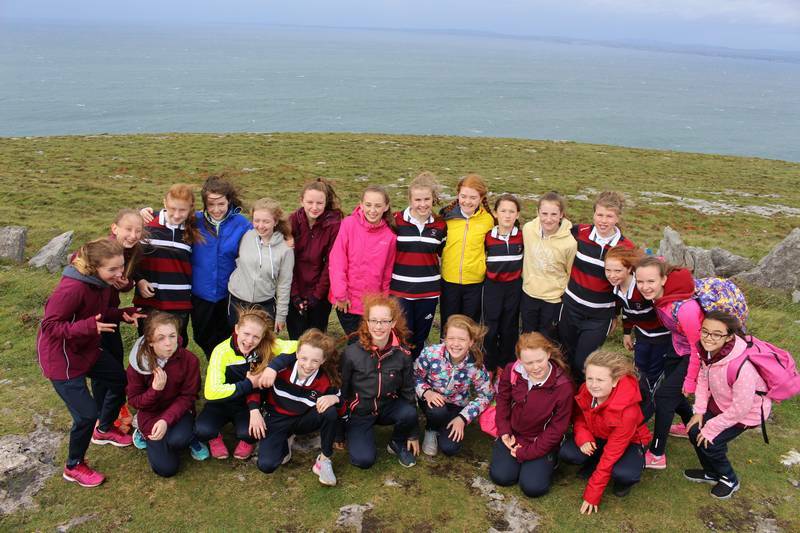 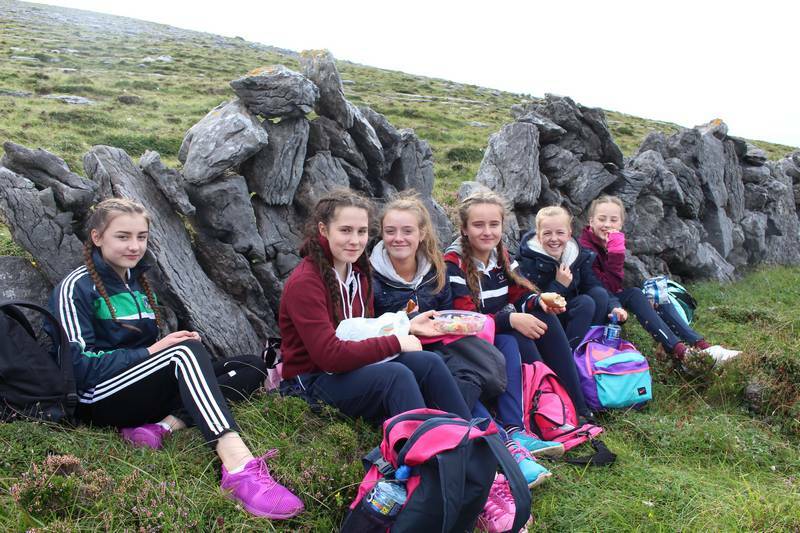 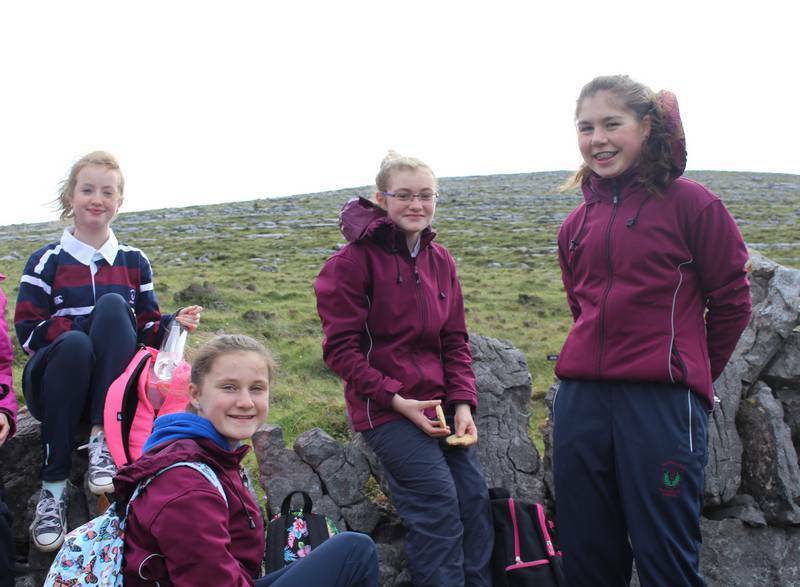 On Friday the 23rd of September, the first years of Laurel Hill Secondary School FCJ went to the Burren in County Clare. 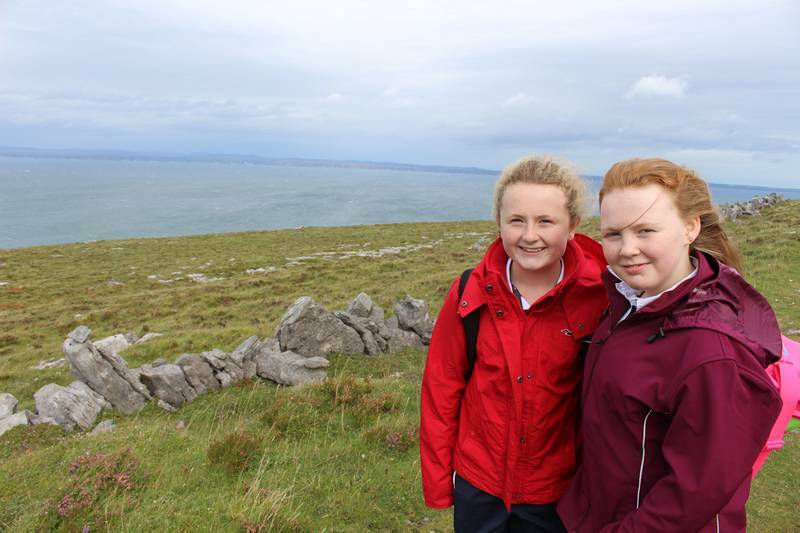 The journey was an hour and a half but with friends around, it felt like a couple of minutes. 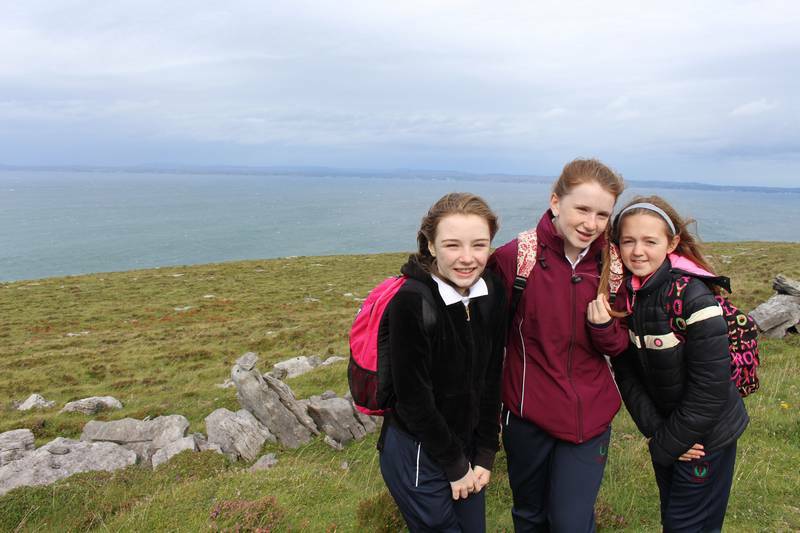 Once we reached Fanore the wind had picked up and we had to put our coats on. 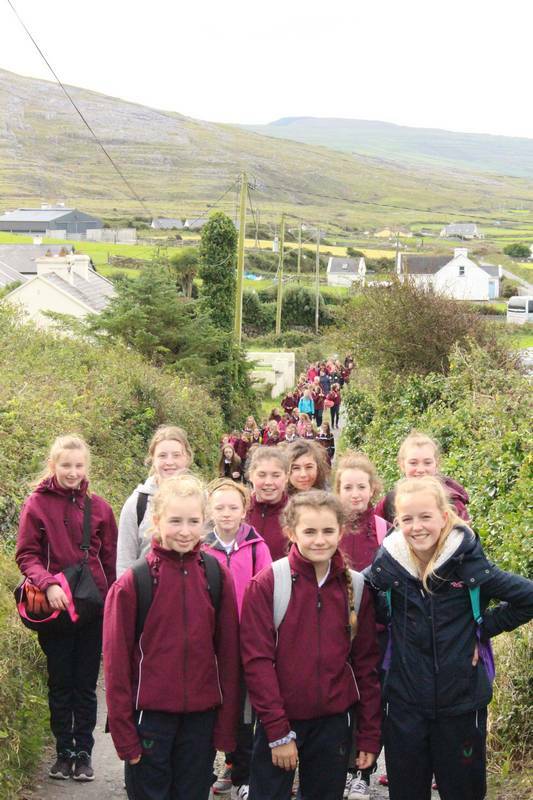 As we made our way up the hill, views like you have never seen before appeared. 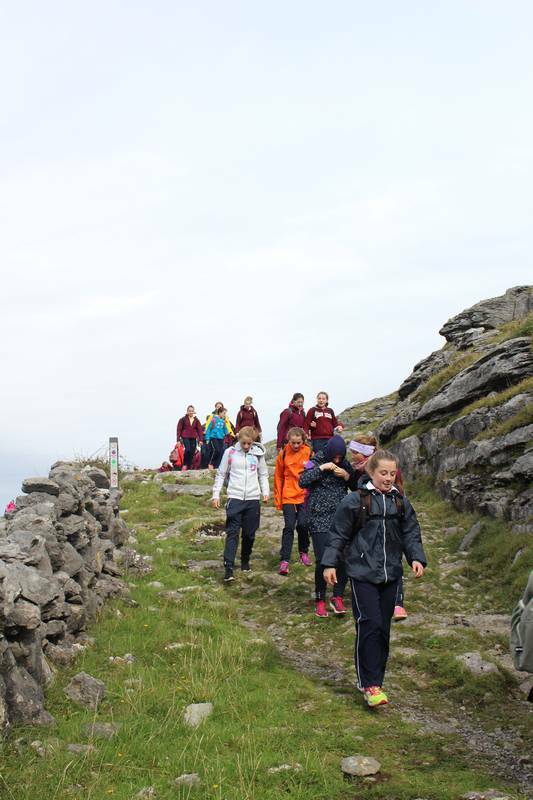 Inis Oirr, Inis Mean and Inis Mor could be seen so clearly, and our path had begun to be circled by limestone boulders. 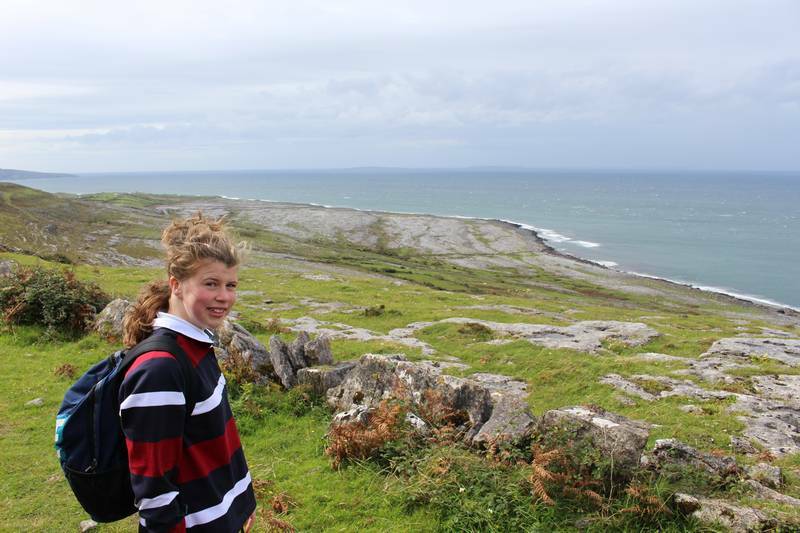 The Atlantic Ocean, that looked like it would go on forever.